Be prepared to welcome back Eddie Johnson tomorrow. What it means for you, an MLS fan, is unclear now. Johnson has been separated from the epicenter of his talent for so long, been a mere prospect-gone-south for so many years, that his name has become a sort of cautionary tale. "Hopefully he's not another Eddie Johnson," I remember a friend saying about Charlie Davies. That is to say, all sizzle, little substance. Some of this is unfair, of course. Johnson can only be what he is. Anything else is projection, a personal failing of ours through no fault of the player. But frustrating is a label Johnson seems to wear well, something his vagabond existence in the wilderness of European free agency has allowed. So his MLS adventure is apropos here, hopefully smelling salts for a forward who's still on the proverbial right side of 30. If Freddy Adu can do it, after a spell at Aris no less, why not Eddie? Here, in a candy-coated nutshell, is a timeline of Eddie Johnson's journey back. Please note that I'm not touching his international service. This is merely reflective of his club duties. 2001-2008: Johnson's resume builds unevenly, first with FCD and then in Kansas City. There were wattage issues, as Johnson's bulb flickered perilously one day and then burned with the intensity of a solar flare the next. He was famously vacant in 2006 and then exploded with 12 goals in his first 11 games in 2007. His coveted speed kept suitors' interest level up, namely when Benfica came calling in 2005 and both parties - Johnson and MLS - swatted it away. The $4 million deal would have been a league record at the time, but the then-21-year-old Johnson cited a commitment to FCD and its new stadium as his primary motivator for staying put. About a year later, FCD traded Johnson to KC for salary allocations. Ahem. There is an interesting thread in Johnson's history that throws some pale light on his decisions. He perplexingly denied another deal in the summer of 2007 to Derby County. The Rams were headed up to the Premiership later that summer, a situation that appeared perfectly tailored for a young striker looking to cut his teeth on the world's biggest stage. After MLS OK'ed the deal, a full $6 million, Johnson again decided against a European move to stay in Kansas City. He was soon headed to England anyway. Johnson's quote still rings in my ears. I'm still unsure what to make of this. 2008-2010: This is when Johnson's career takes a muddy turn. Fulham swooped in for his services, and this time the club suited Johnson's fancy. If Benfica was too big for a 21-year-old and Derby was too small for a 23-year-old, a mid-table EPL team with a history of siring Americans seemed to be what Johnson was after. But with little use for him (duh? ), Fulham loaned Johnson out to Cardiff after just six months, where Johnson was mostly unproductive until bagging his first goal in March, seven months after beginning his loan. He scored just twice in 30 appearances and raised questions about his intelligence in the process. His form toward the end of the loan left some hopeful. Still without a place in Fulham's XI upon his return, Fulham opted for another loan, this time to Greek outfit Aris. It was by far Johnson's most productive spell abroad, where he scored five times in 16 appearances. But this time the cards were out of his hands. Fulham wouldn't budge on Johnson's salary figure, and Aris, which was interested in signing a permanent deal, backed off. 2011-present: Johnson completed his Fulham deal with an unremarkable loan to Preston North End, which brought rise to the first of the MLS sagas. Johnson had all but sewn up an MLS return when, on Aug. 17, a day before the announcement of his allocation (which is like, today), he pulled out of negotiations for, you guessed it, another look abroad. He searched for months without success, spending a damaging four months in the wilds of free agency. When Mexico's Puebla finally trawled him up, home of a productive Beaz, Johnson lasted days, not months. The official reason given for his ouster involved a contract dispute with Johnson's agent, but persistent whispers insisted that his fitness was nowhere near where it needed to be. Juan Carlos Osorio, formerly the coach for the Chicago Fire, finally lowered the hammer. I balk at saying this is a confused man. But I think he can be impulsive, places his own value as a player on an unreachable shelf and has the mental stability of a teenager. Confidence is fine. Undue hubris is not. I also balk at saying this is a humbled man, but I don't think this is the same Eddie Johnson who turned down Derby in 2007. I don't think it's the same guy who turned down MLS last year, either. If all he wants is a shot, he's got it in our American league of redemption and second chances. Plus, we need this in MLS. william, i believe that derby team you talk about, is the same one that feilhaber and eddie lewis played for. i think that was the worst team ever in epl history. maybe it was good not to go there. hopefully ej will put up big numbers in MLS. for sure, ej needs a little confidence to be successful. Eddie wasn't in a position to be picky. He waited around for a "better" opportunity (Fulham) and never saw the field, a predictable outcome if ever there was one. Plus, EPL experience is EPL experience. Even knowing what we know now (and who knows, Eddie might have helped them rectify their worst-ever goals output), what competitor would shy away from certain minutes - probably good minutes - in the world's best league? Especially when you feel your game is peaking? Even if Derby goes down, you're still playing in the Championship with a chance for promotion again. Which is a better situation on its face than a loan to Cardiff or PNE. He may still be over there now, who knows. 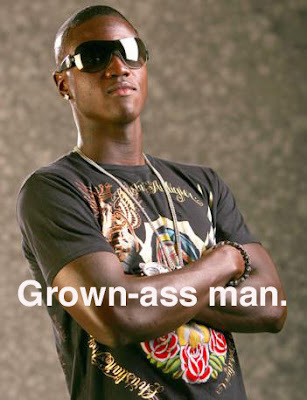 ej is still going to be under 30 come 2014. he is a riddle wrapped in an enigma. he just needs a good situation and probably more therapy. if a good coach can get a hold of him and just channel his inner chi, we could really see something special. i look at ej as being a player that can be a better version of 2010 edson buddle. Solution: Put him on a really #$%tty team. He'll score some goals, be the center of attention. KEEP HIM AWAY FROM FREDDY- there is still hope there, but these two together are bad news. I agree with Chris, but also what's holding Eddie back is that he's just not that a good soccer player. He has the tools scouts drool over, but is instinctively just not that good and has a head full of crap. well, seattle is about as far from philly as you can get. sigi schmid is just the coach for ej. and basically ej has about as many MLS goals as all of the sounder forwards combined. It was a fine move for Seattle. They've rarely had a suitable partner for Montero, and EJ is as qualified and has as high of a ceiling as anybody else. If he busts, it's no worse than they've had. If he booms, then Schmid's 4-4-2 suddenly looks genius. Win-win.